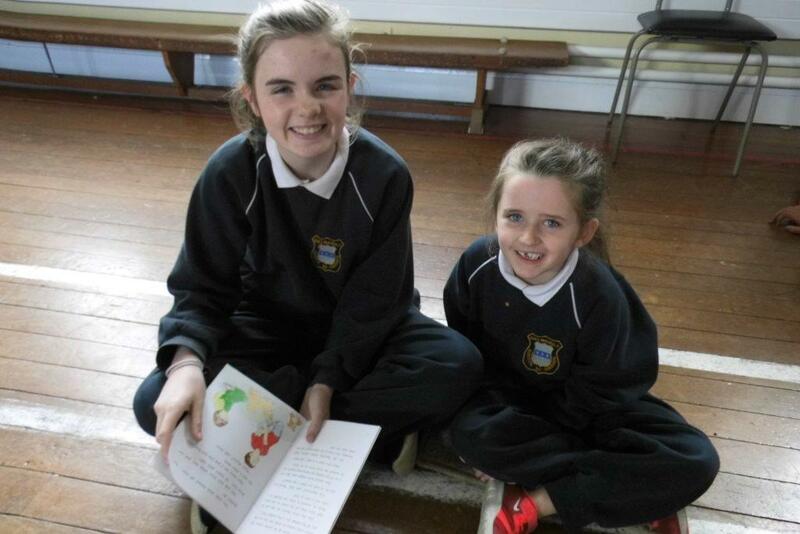 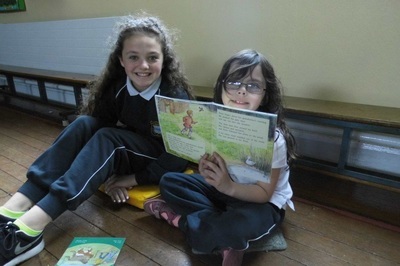 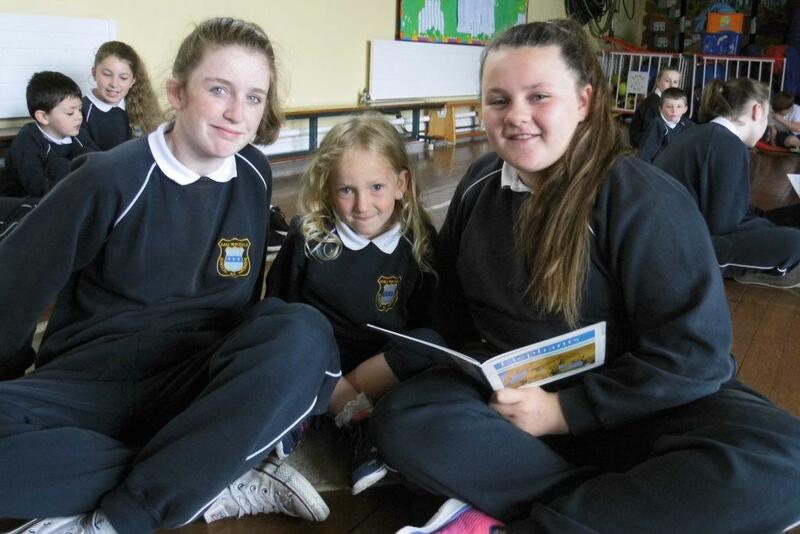 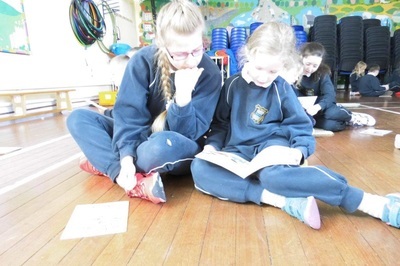 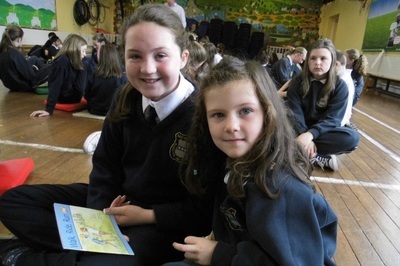 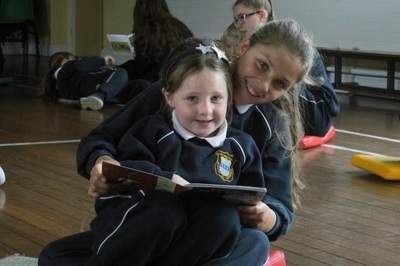 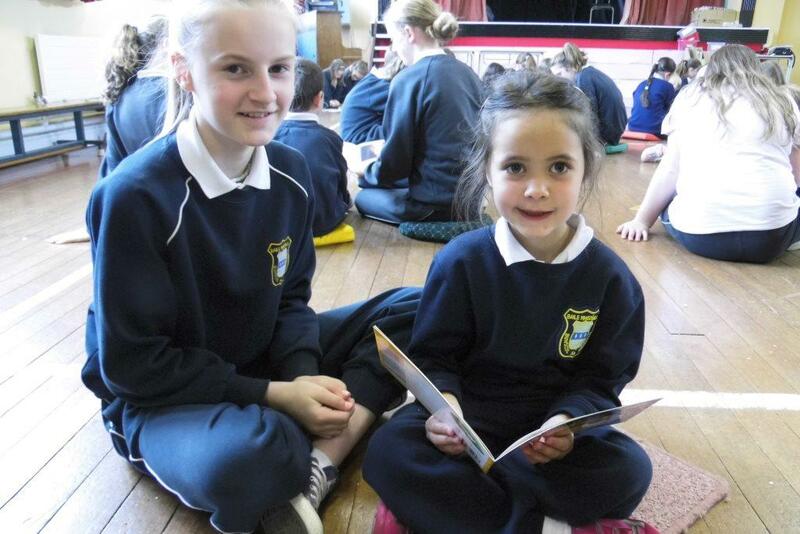 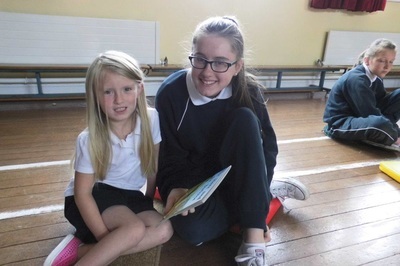 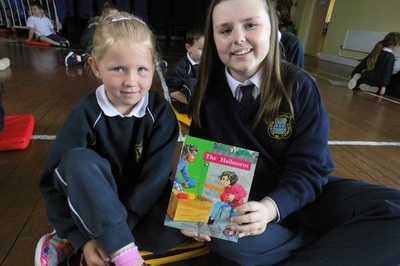 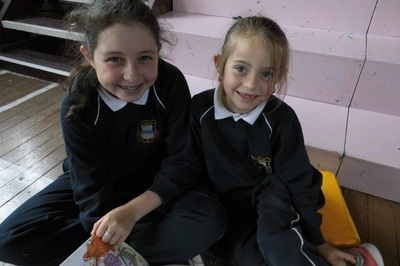 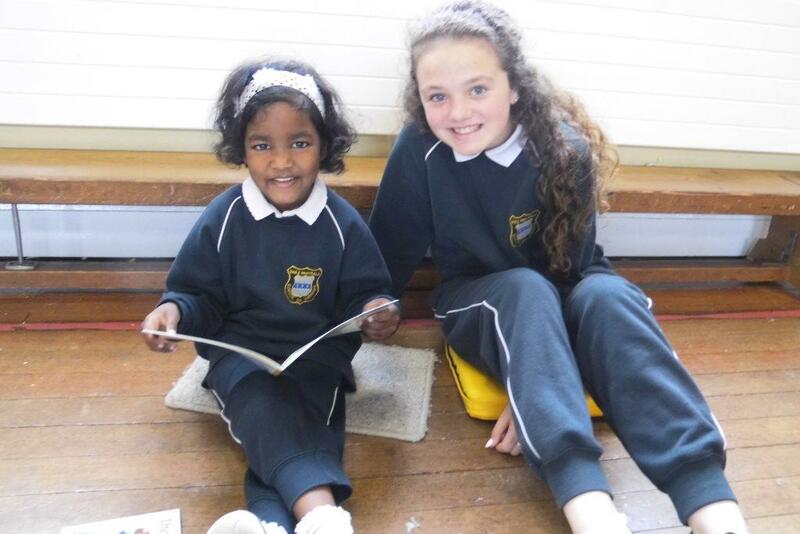 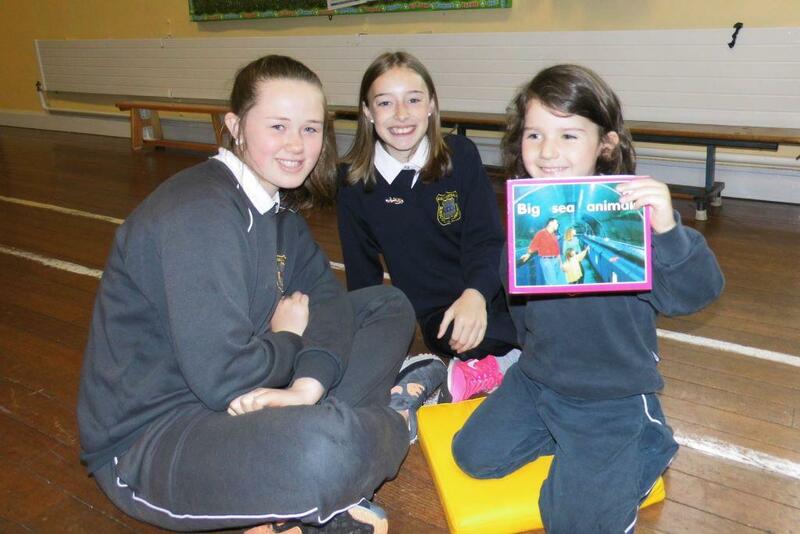 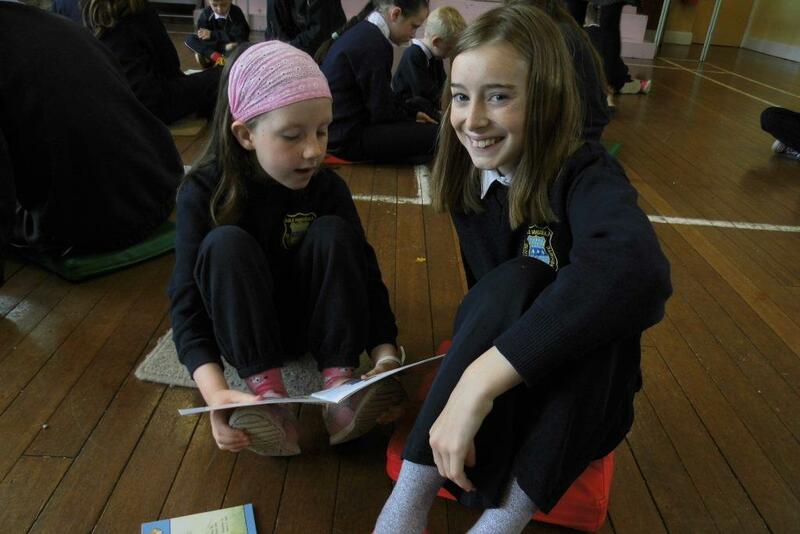 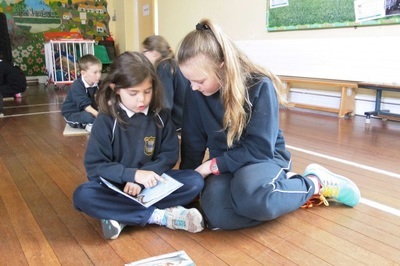 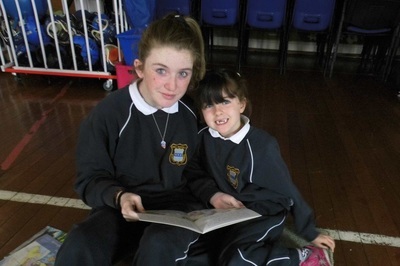 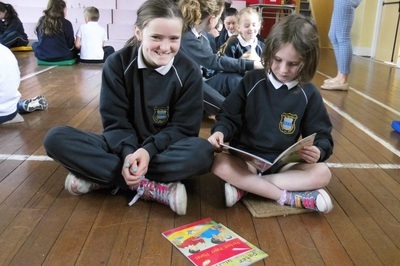 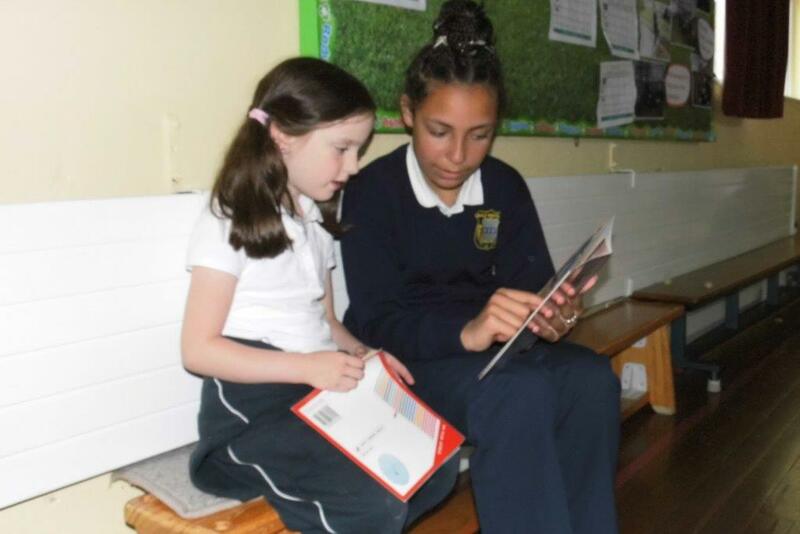 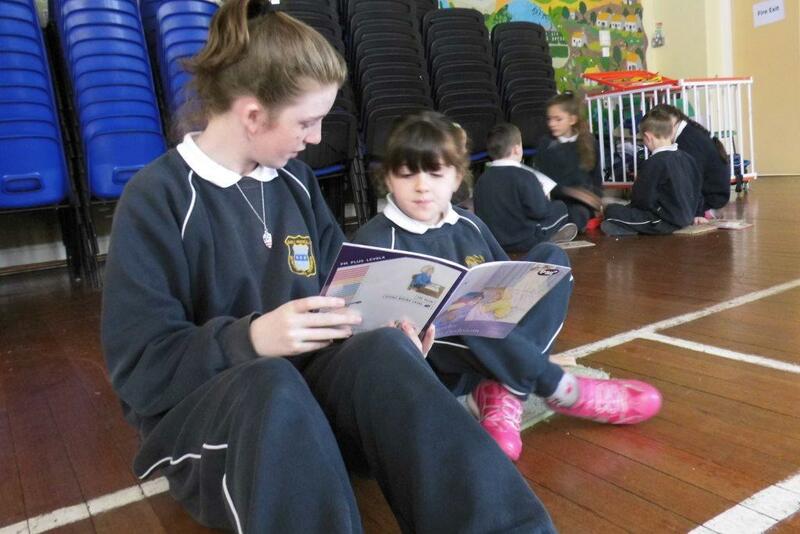 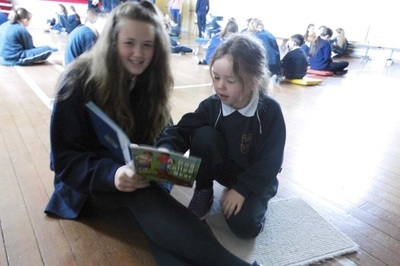 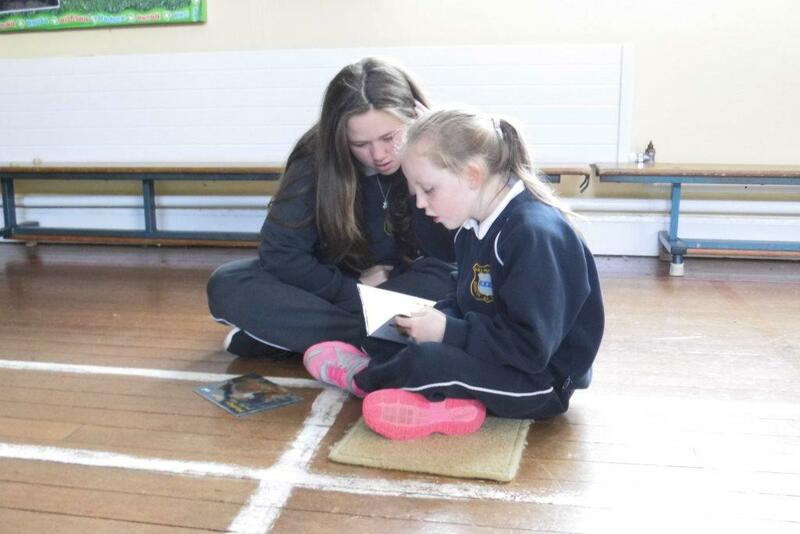 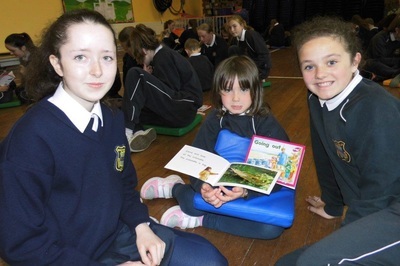 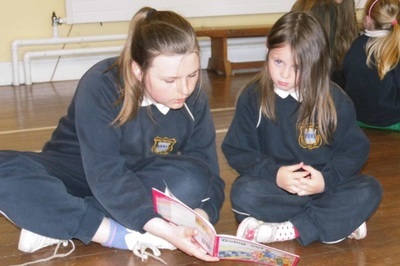 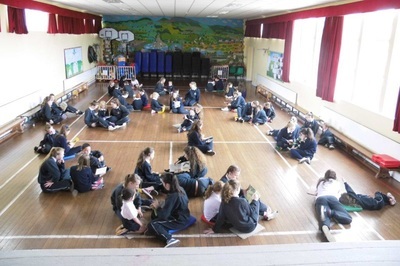 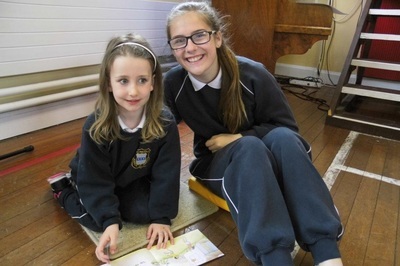 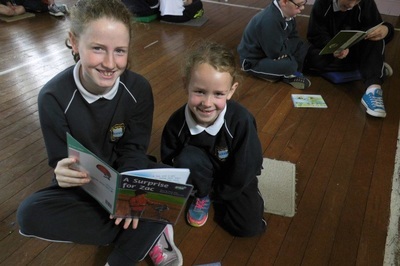 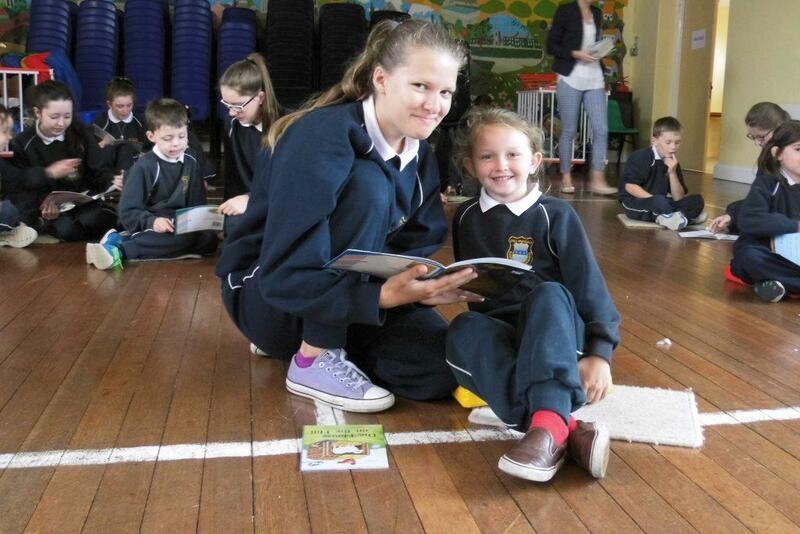 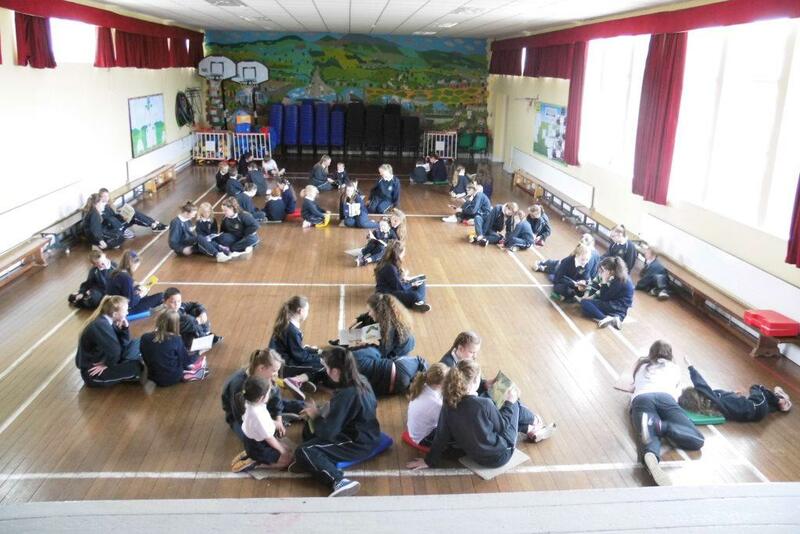 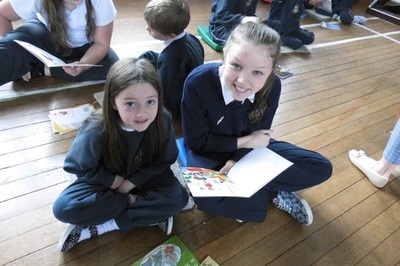 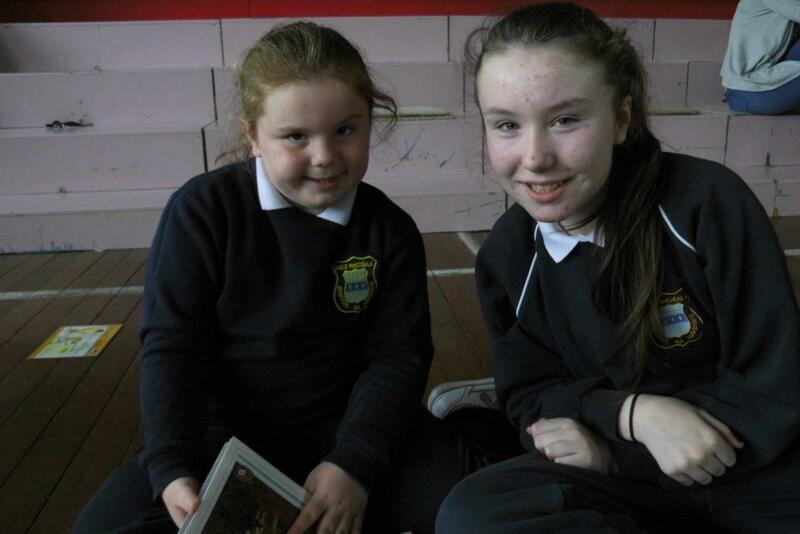 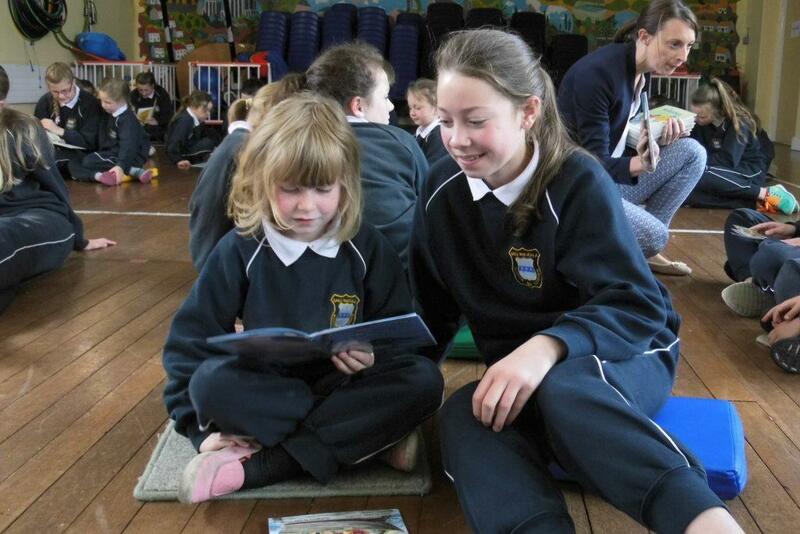 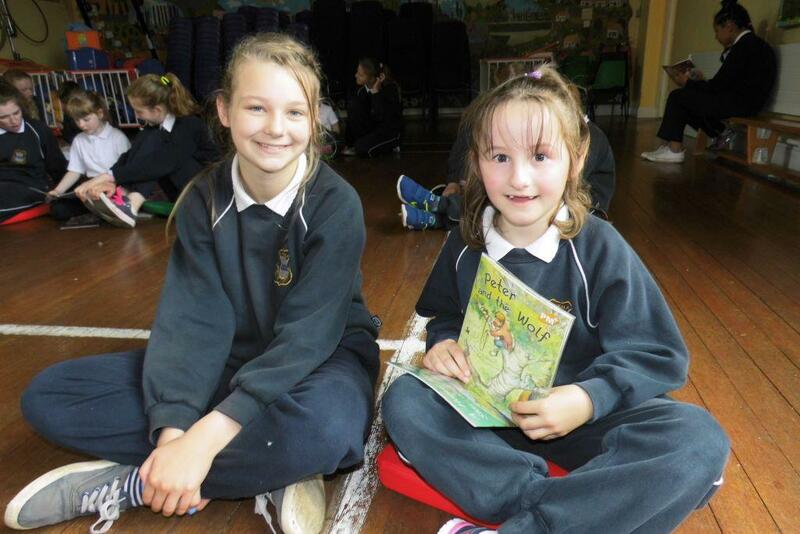 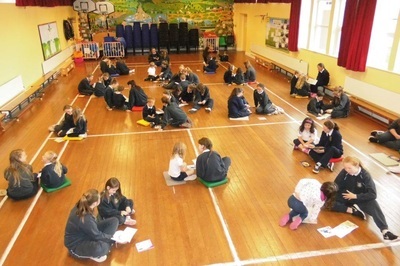 For the month of June the girls in 6th Class have been busy with the Infants, reading lots of books. 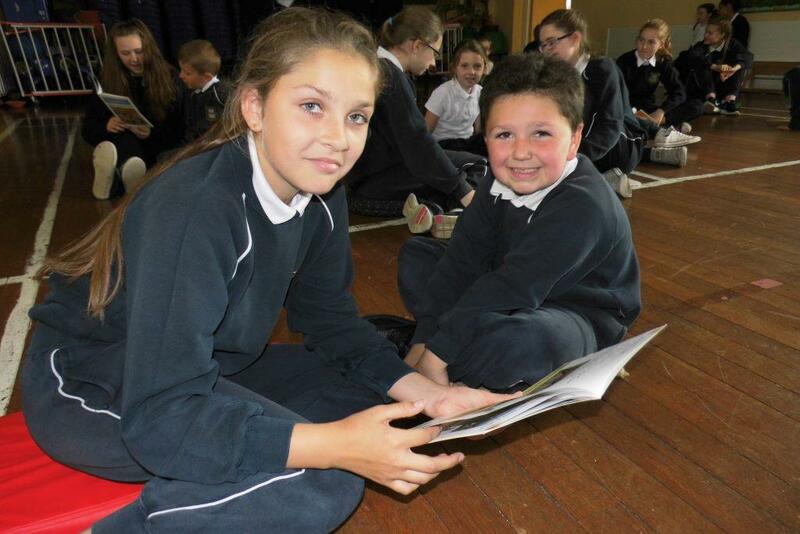 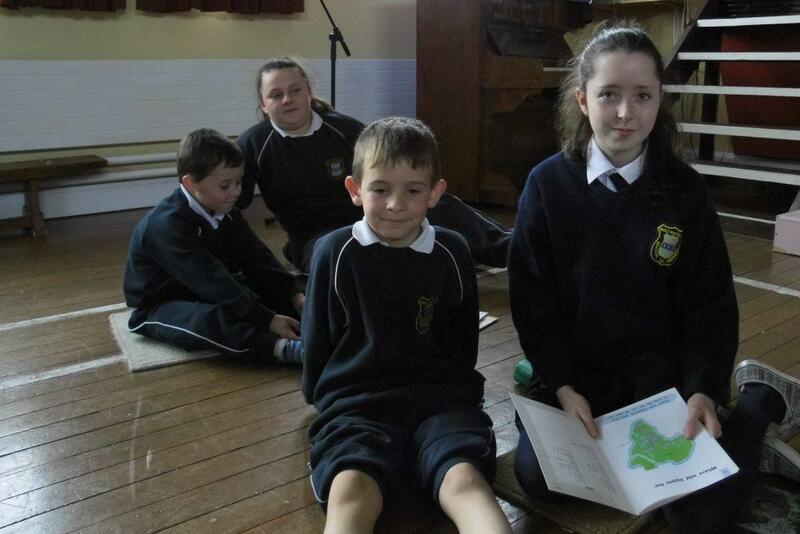 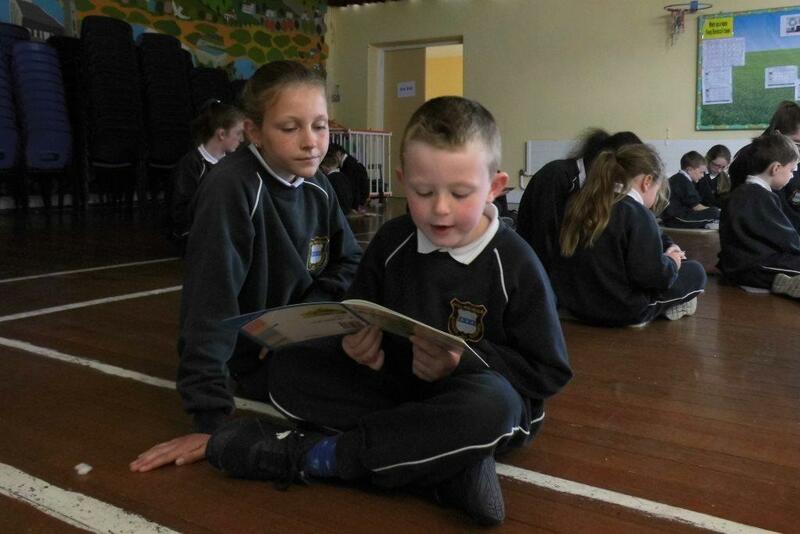 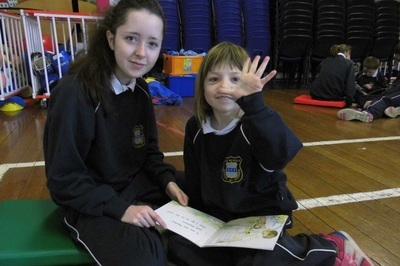 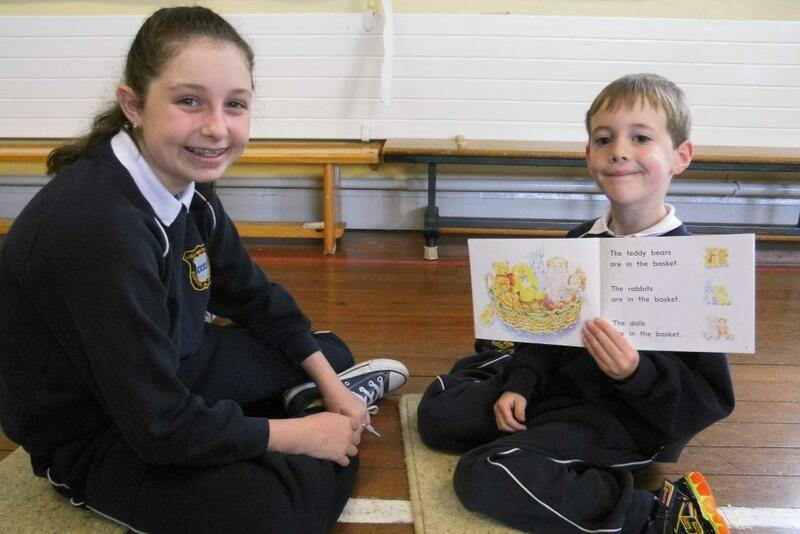 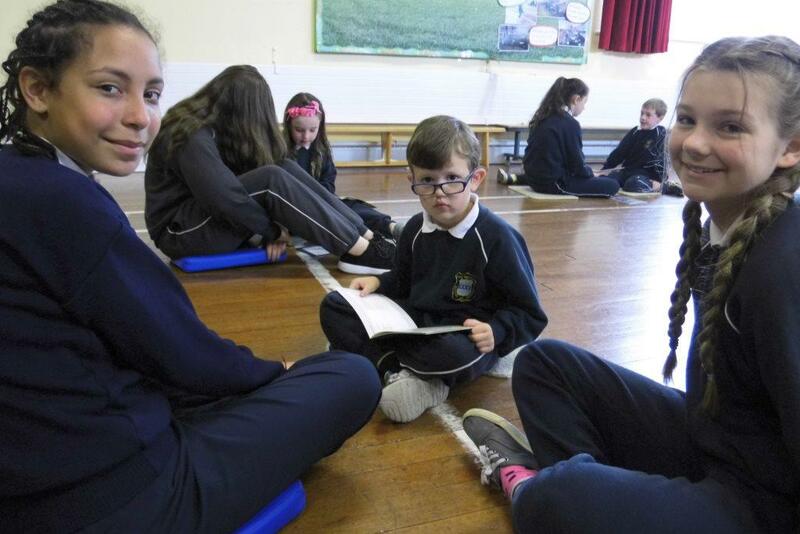 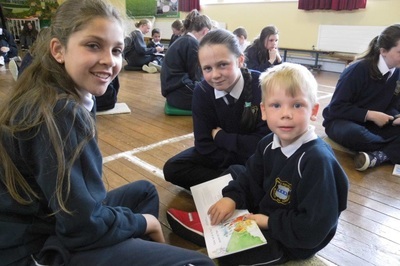 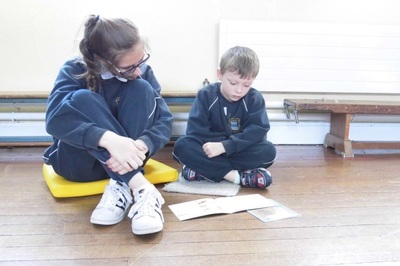 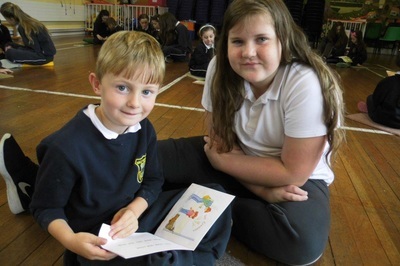 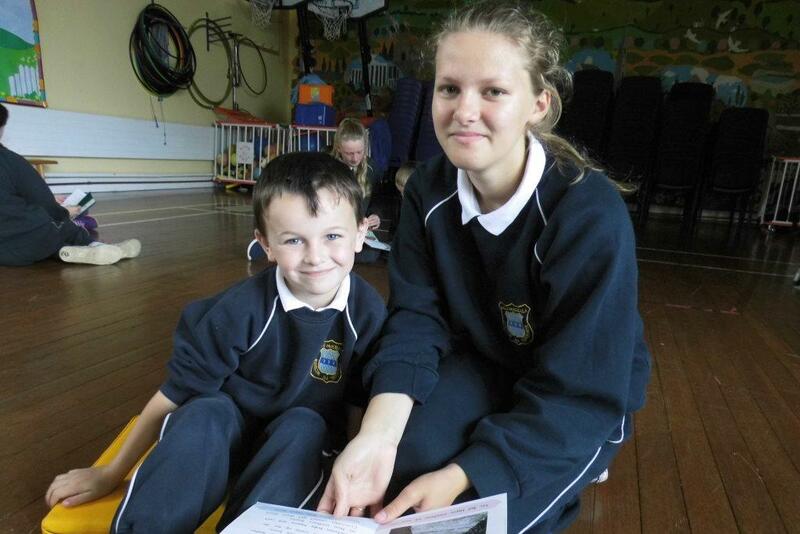 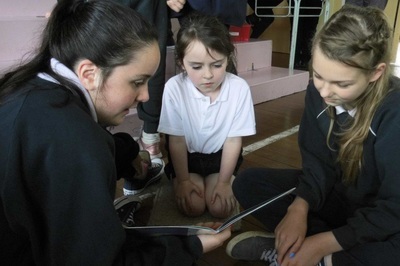 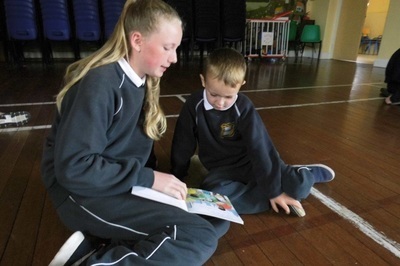 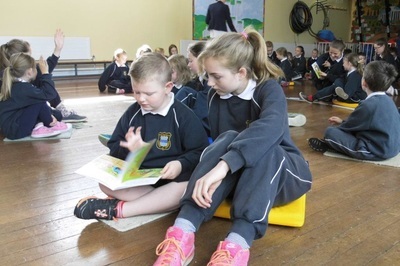 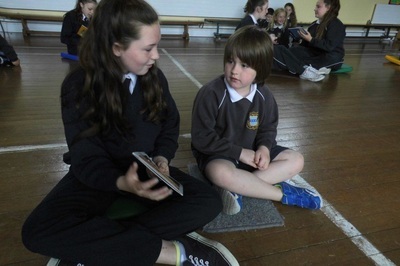 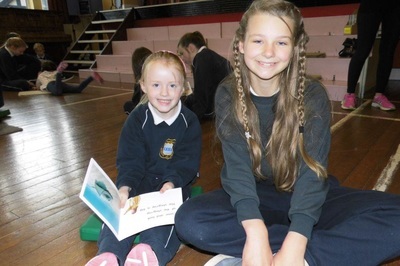 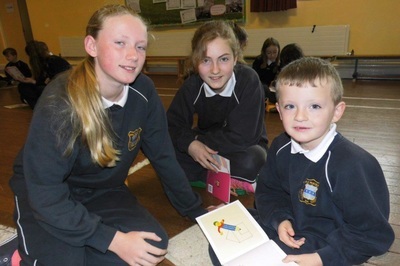 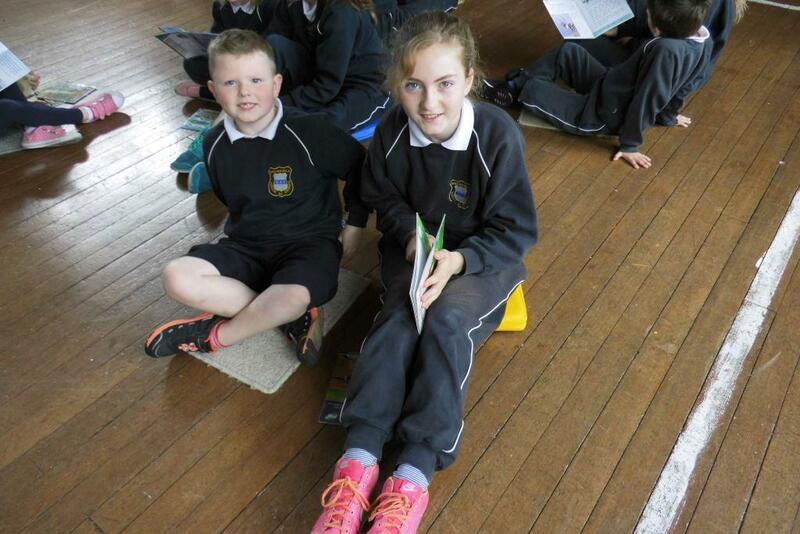 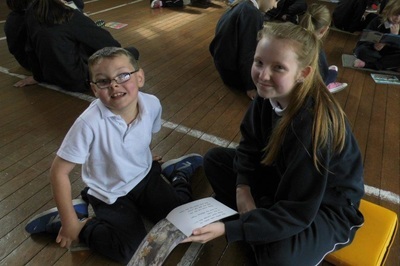 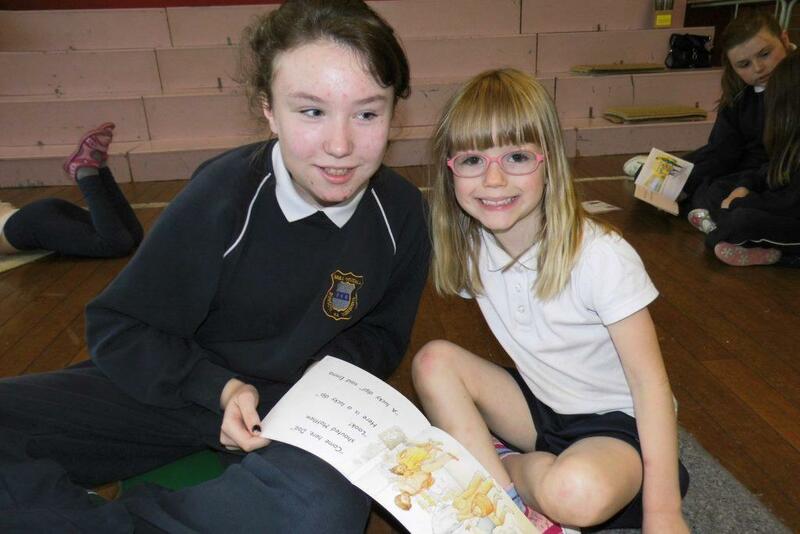 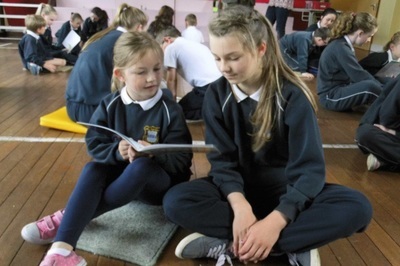 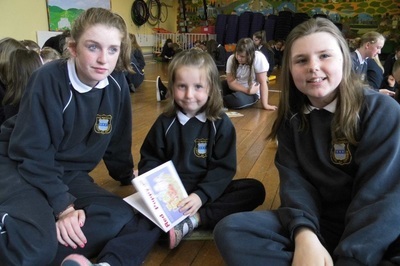 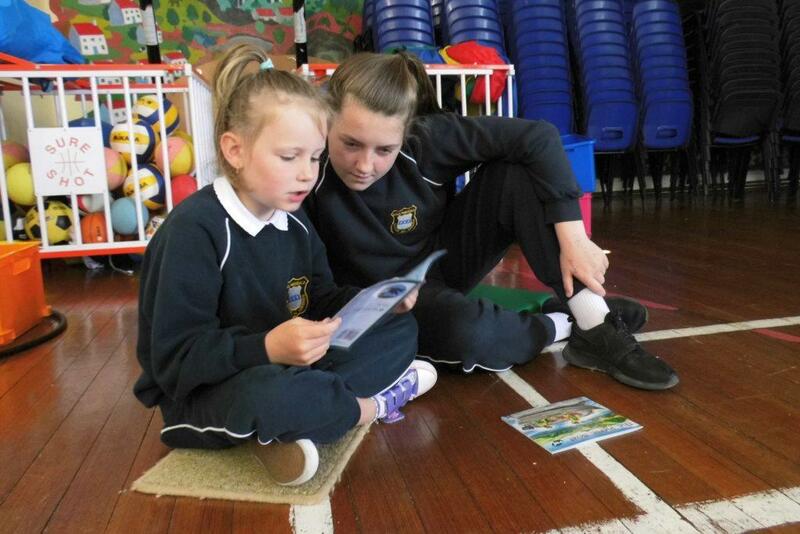 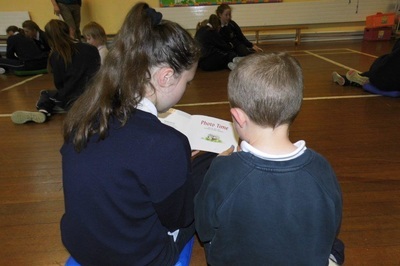 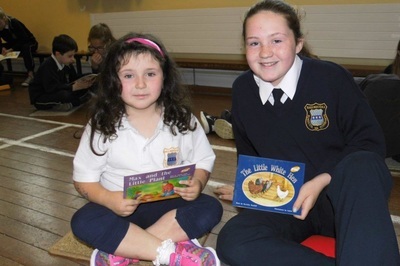 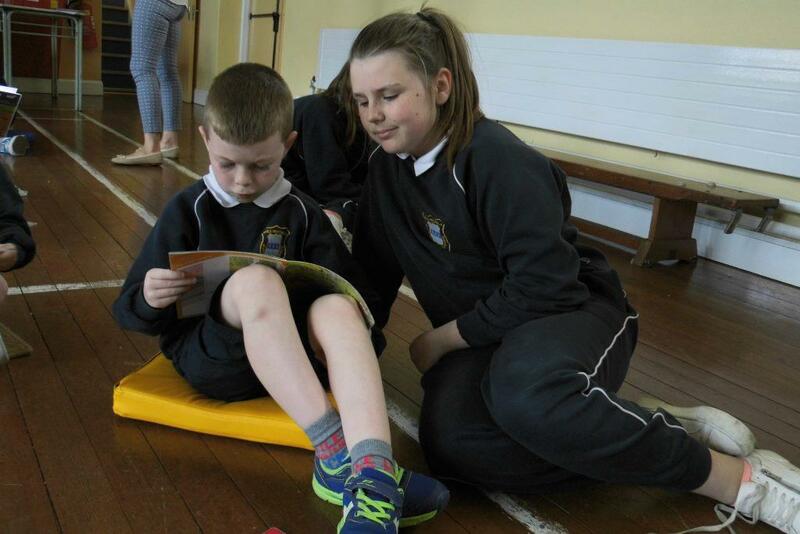 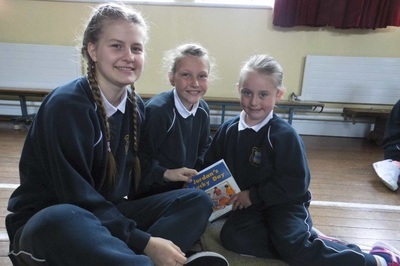 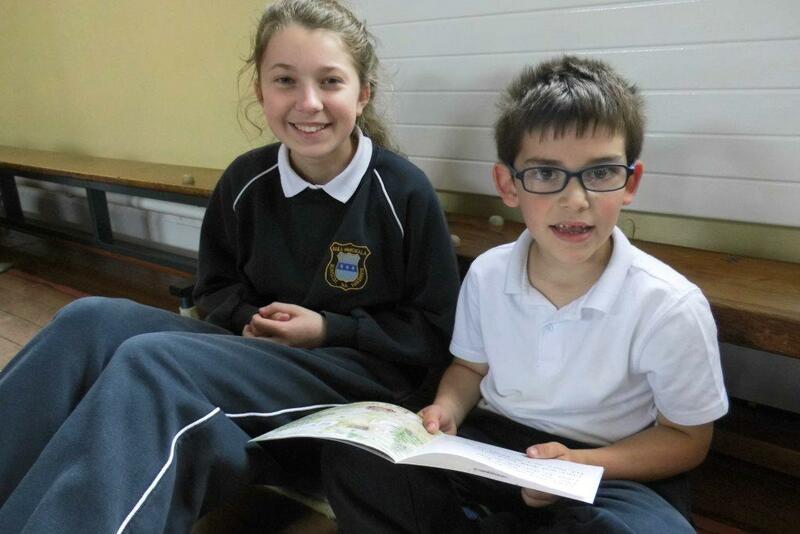 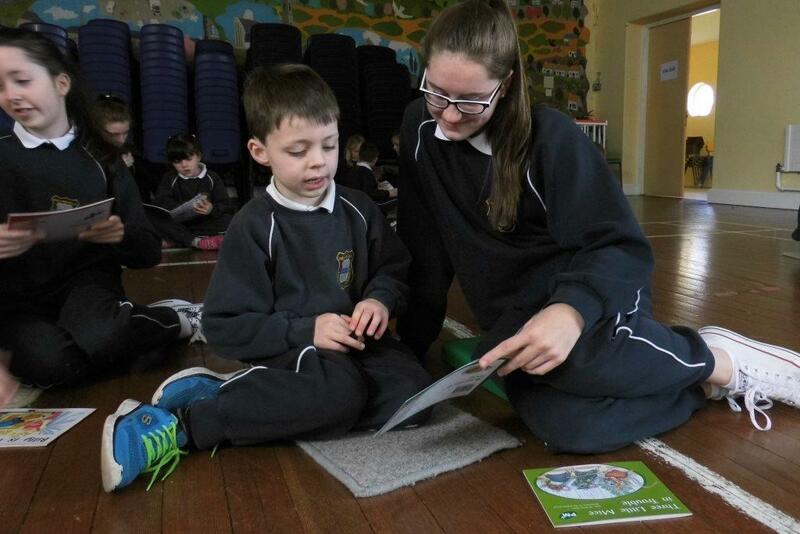 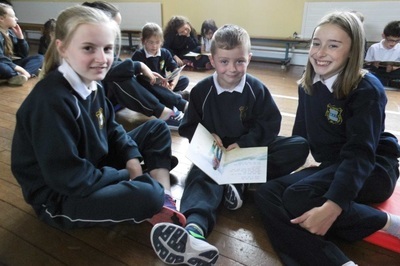 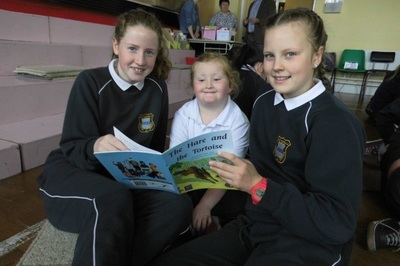 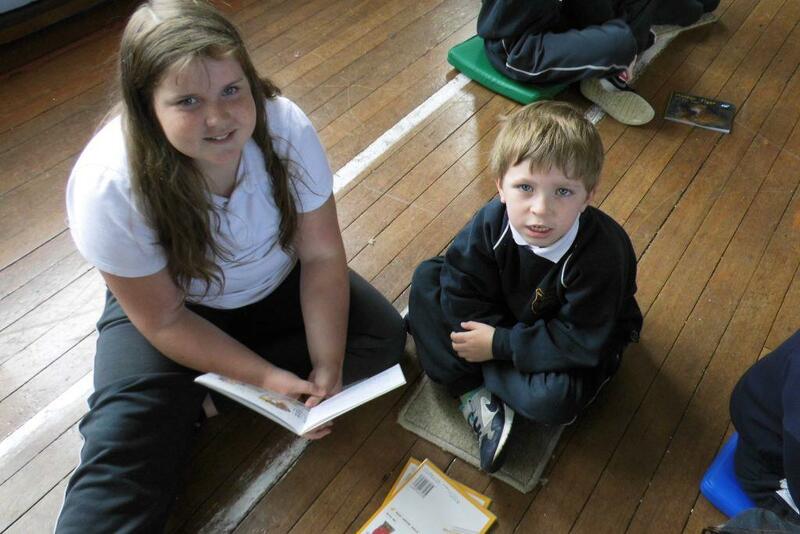 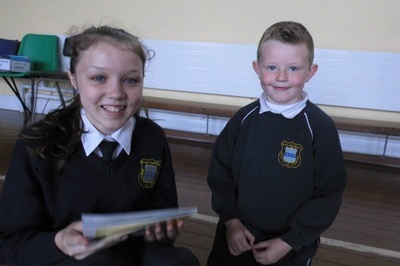 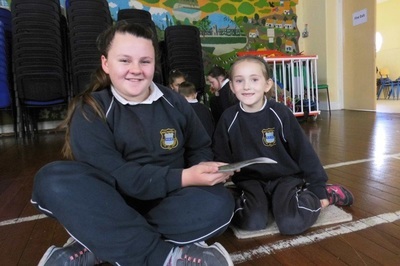 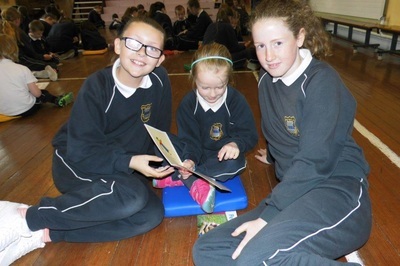 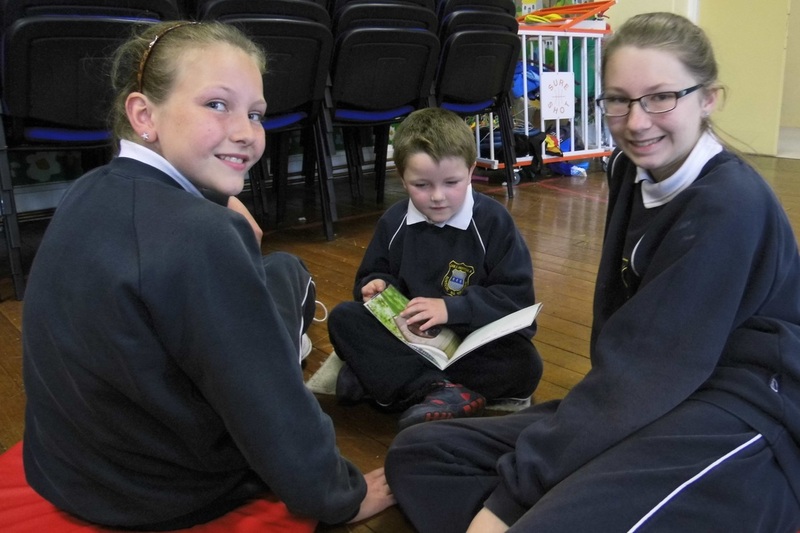 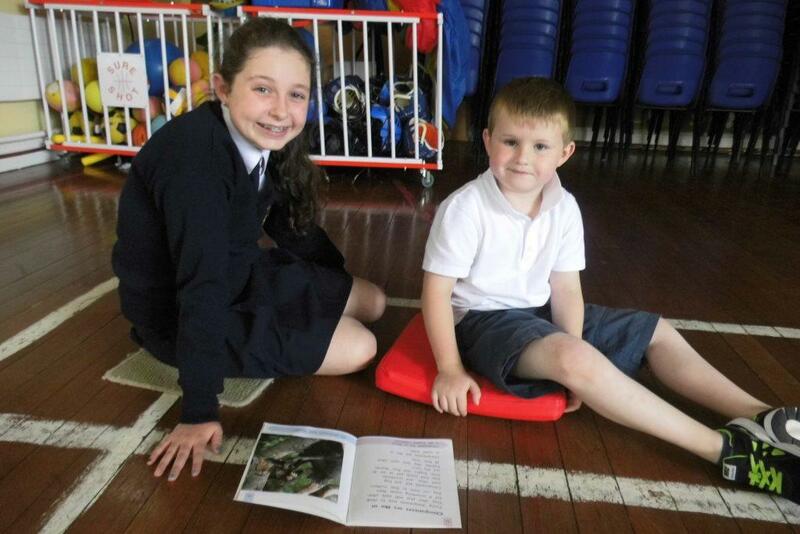 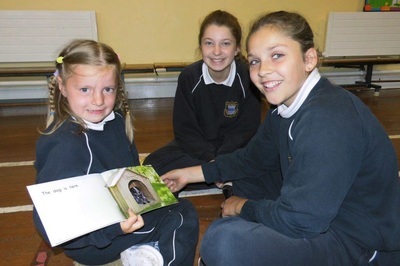 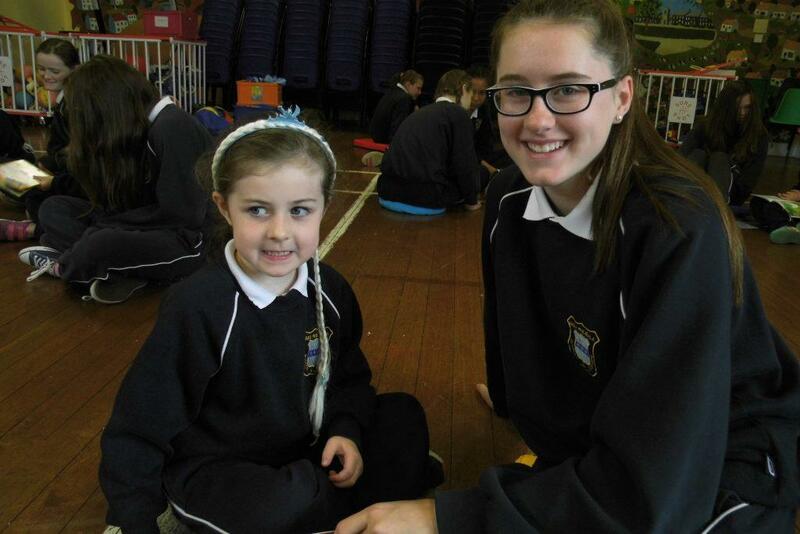 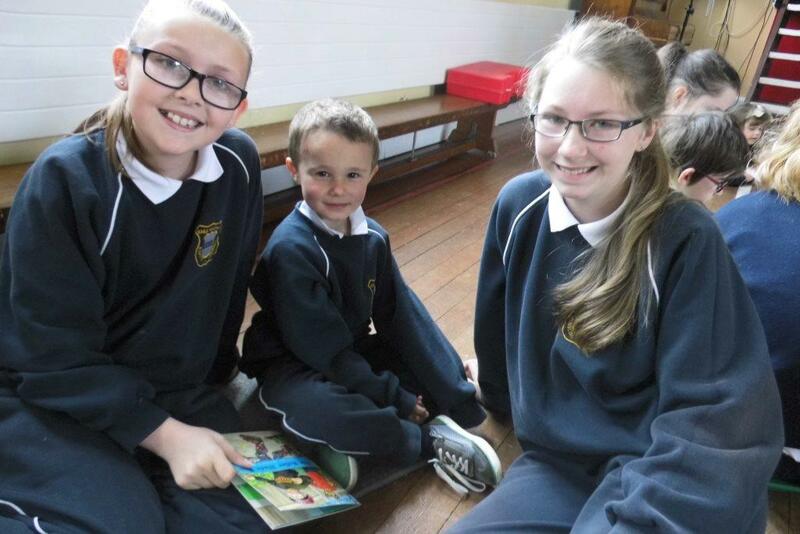 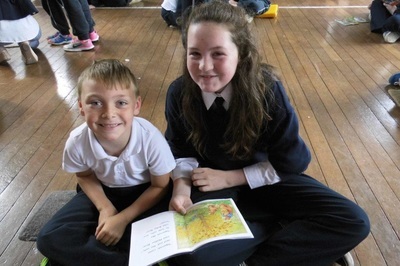 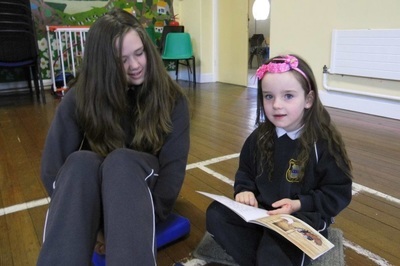 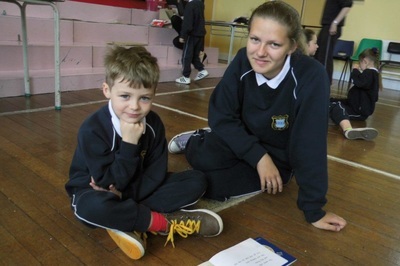 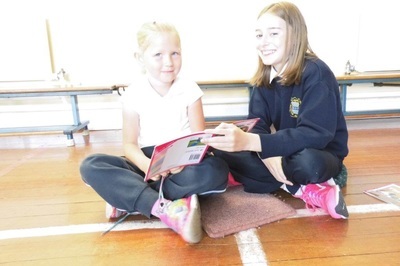 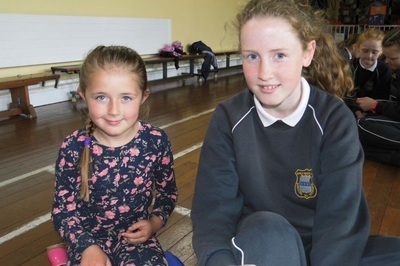 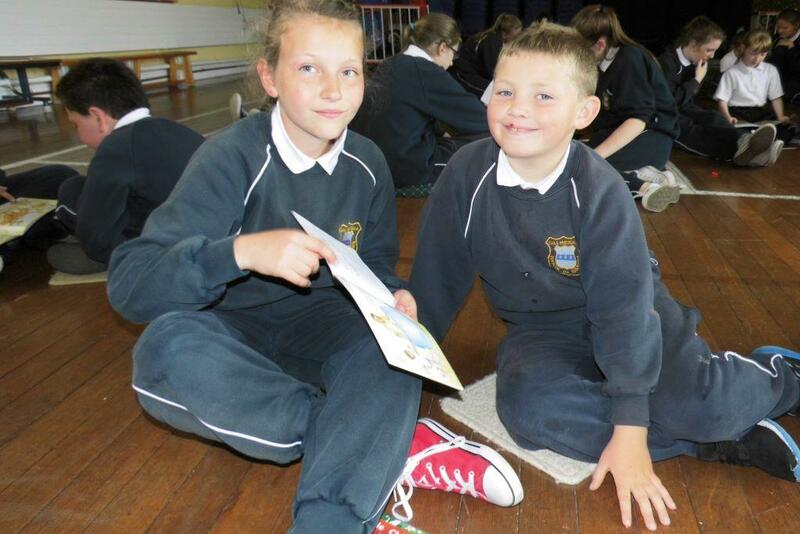 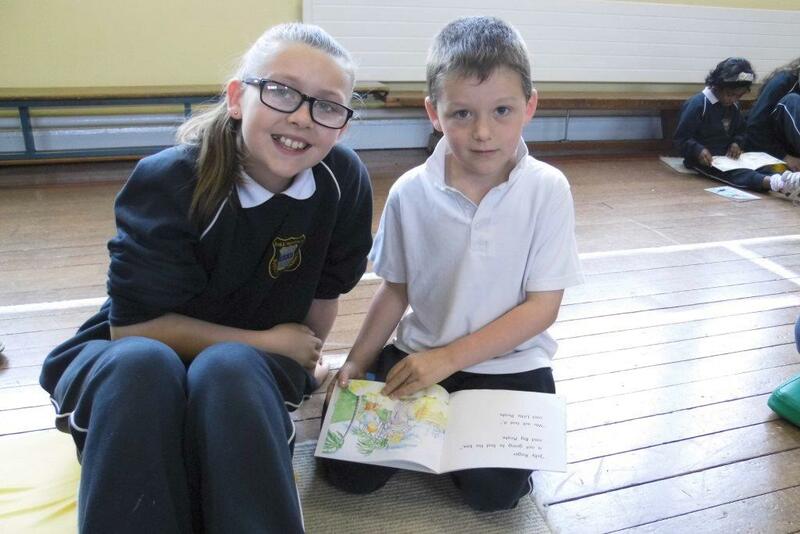 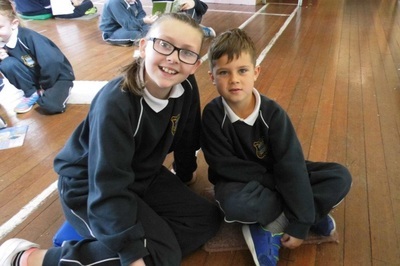 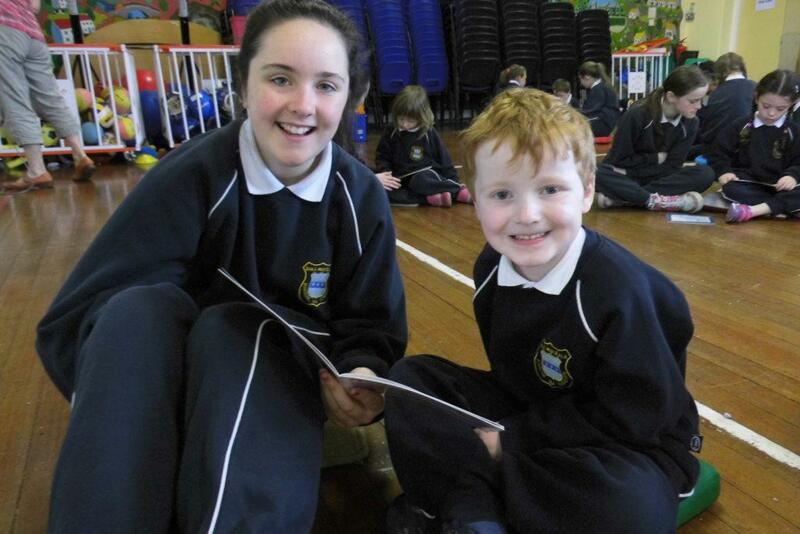 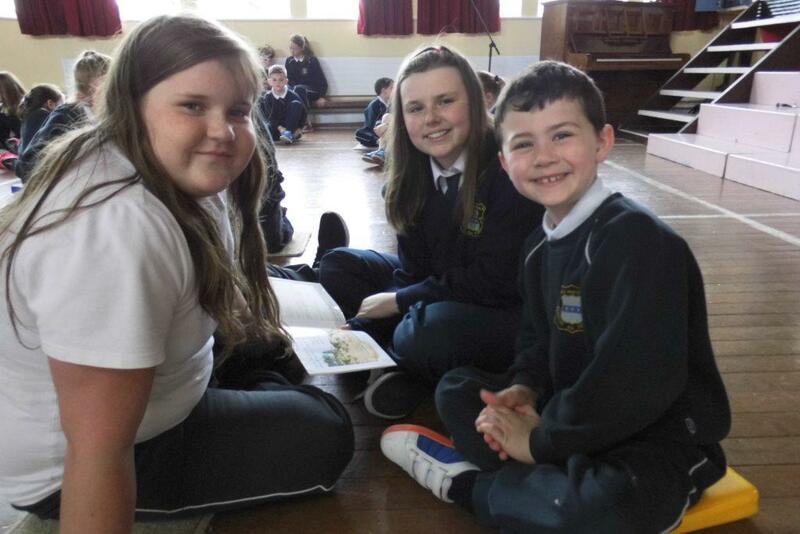 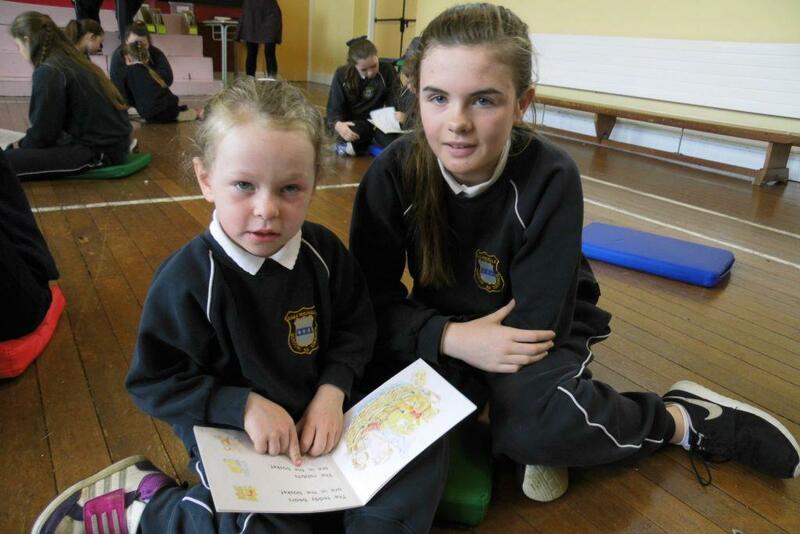 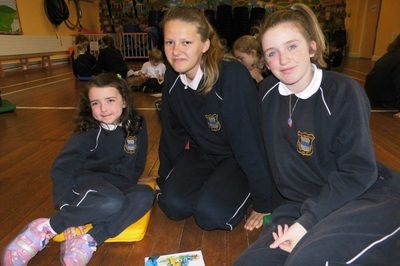 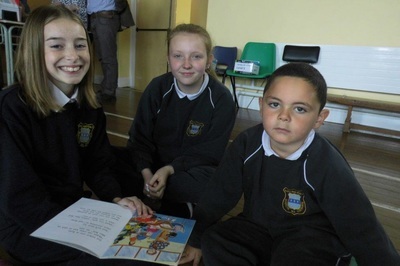 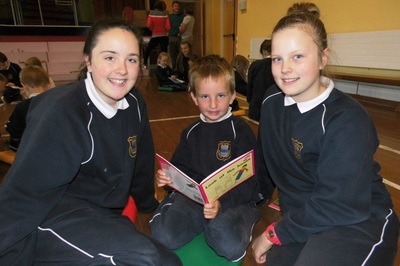 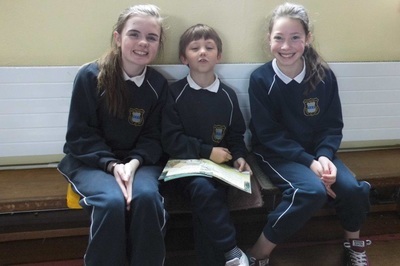 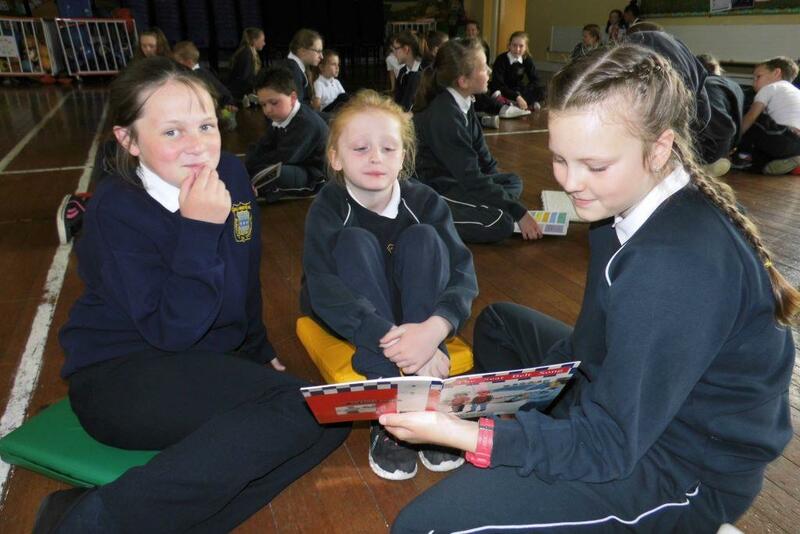 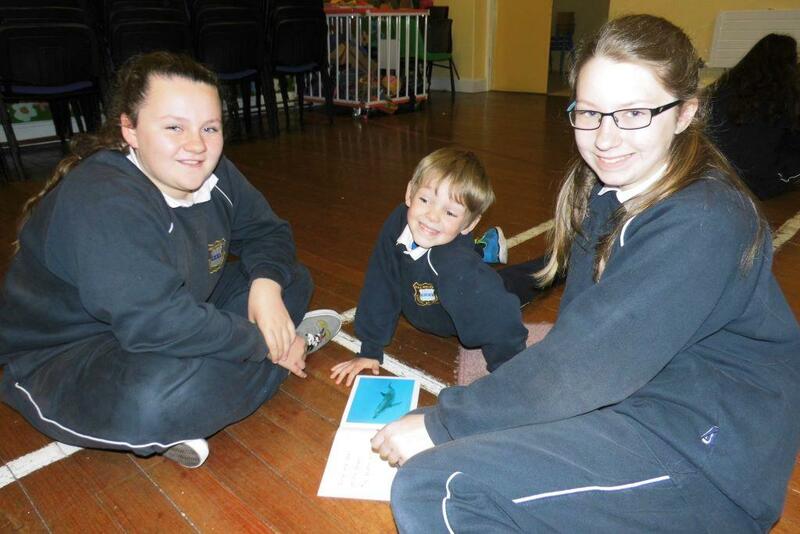 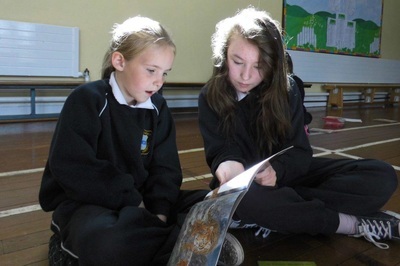 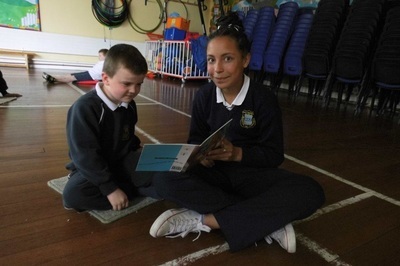 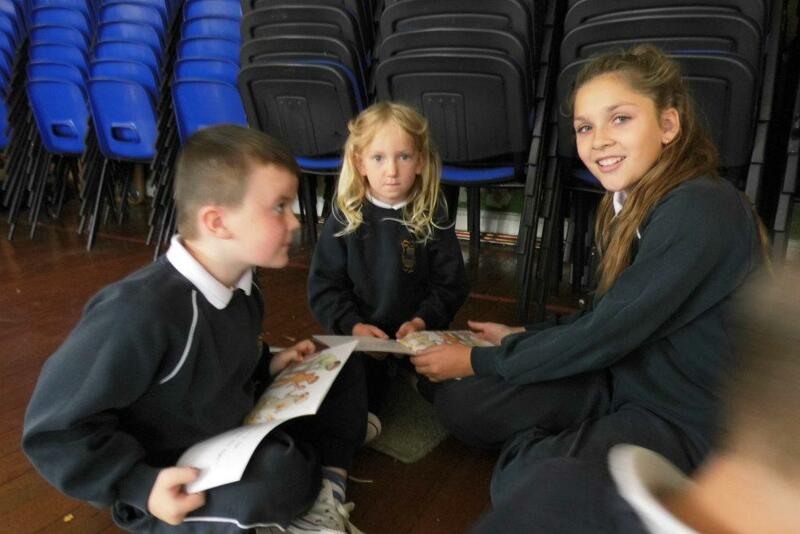 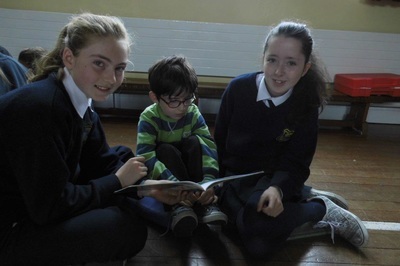 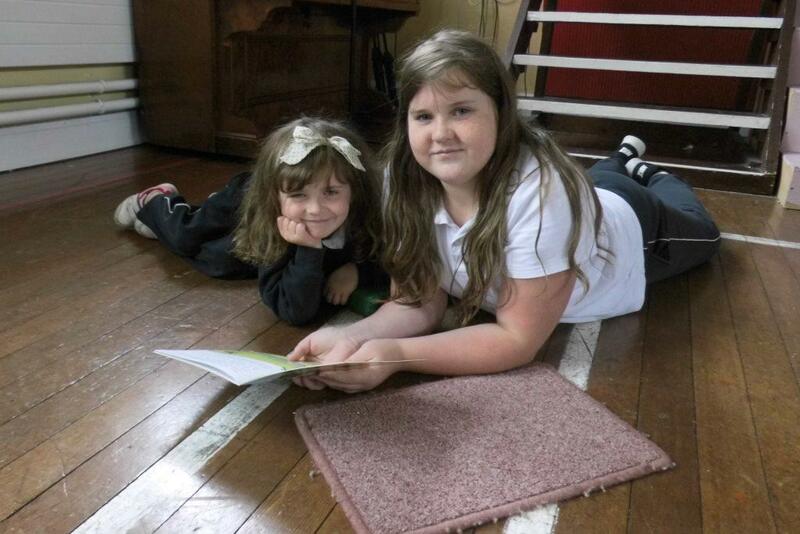 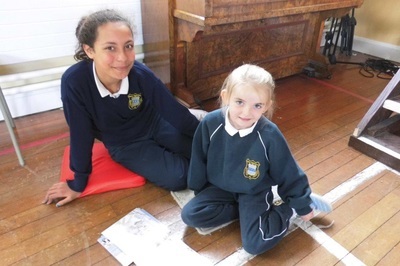 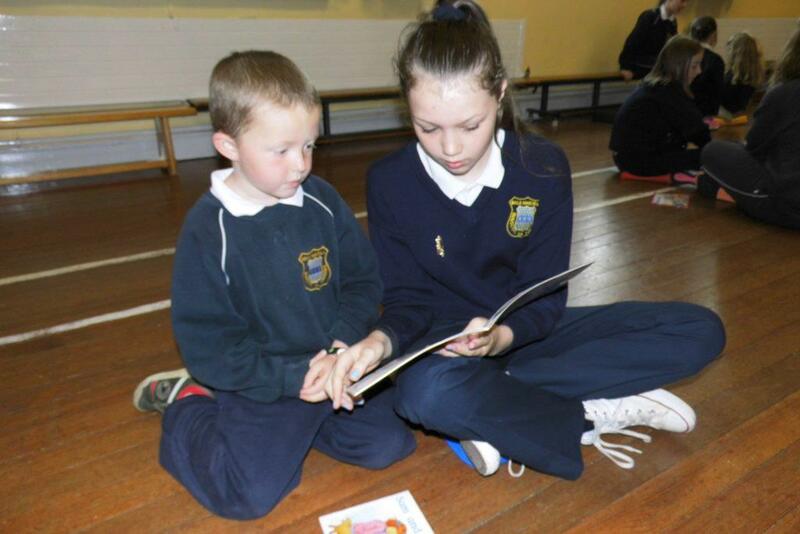 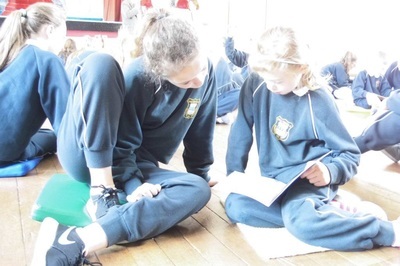 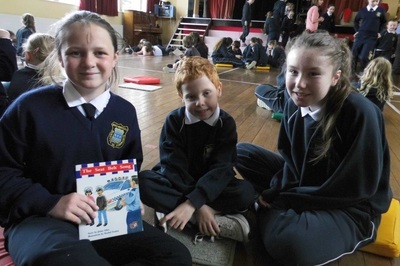 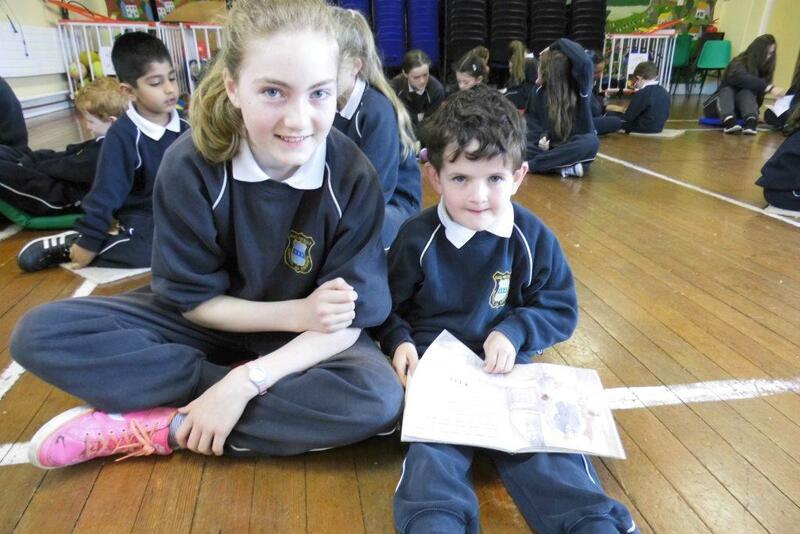 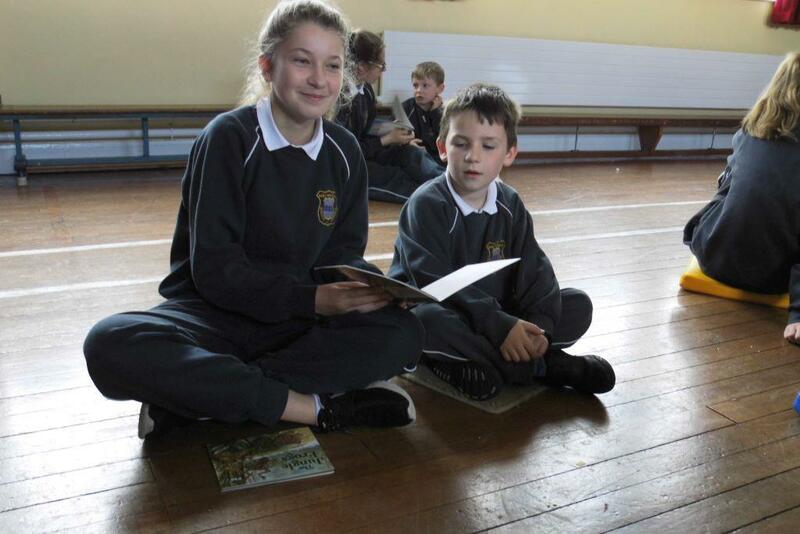 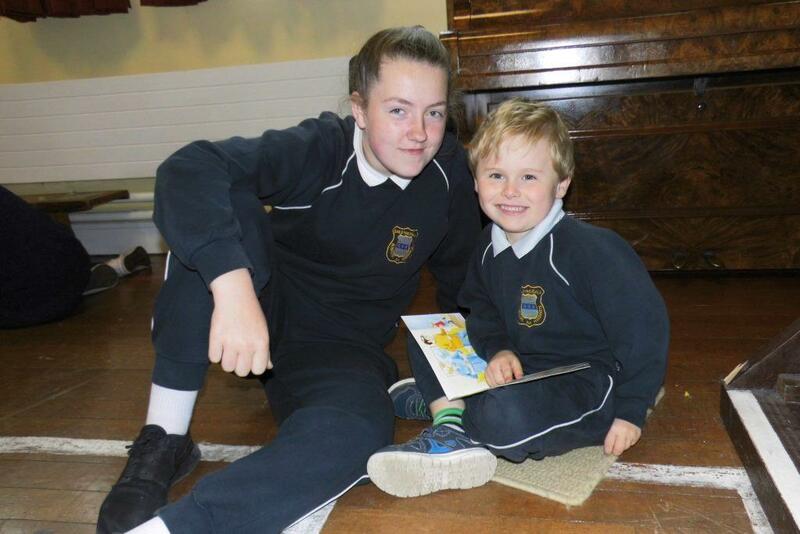 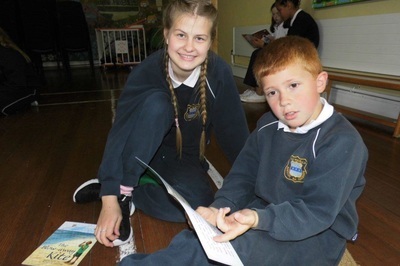 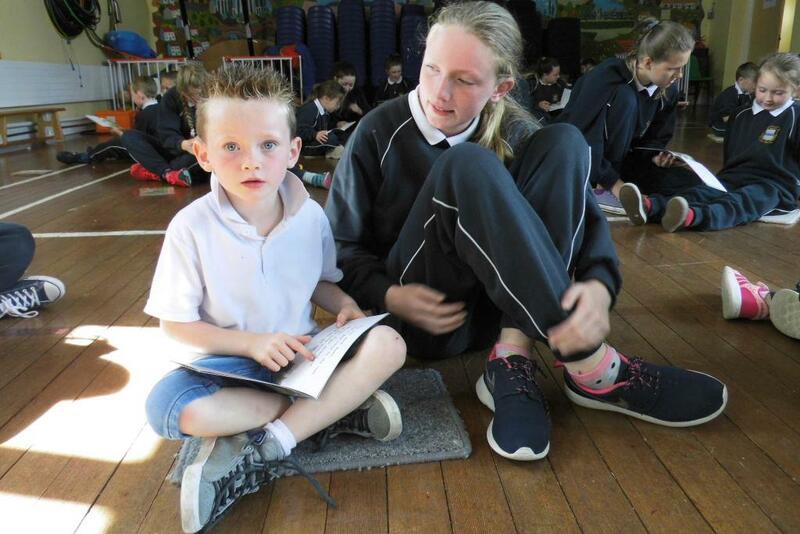 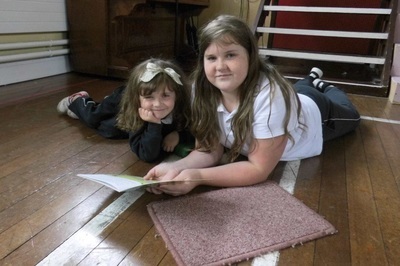 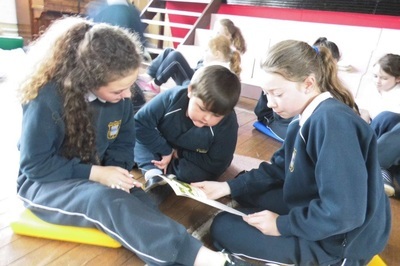 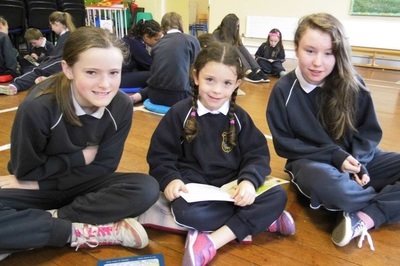 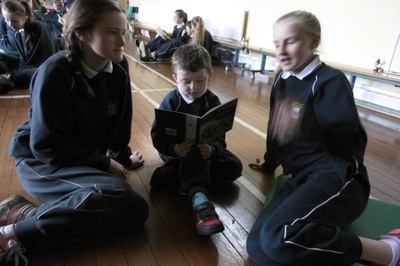 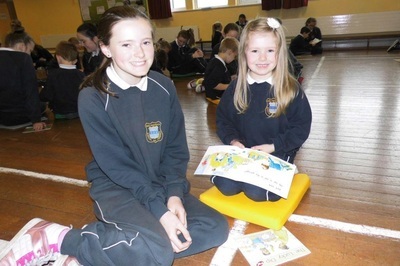 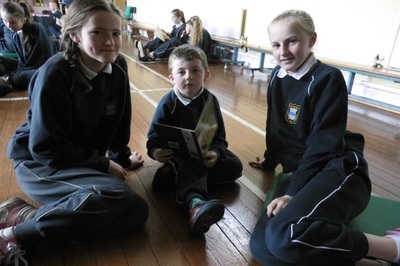 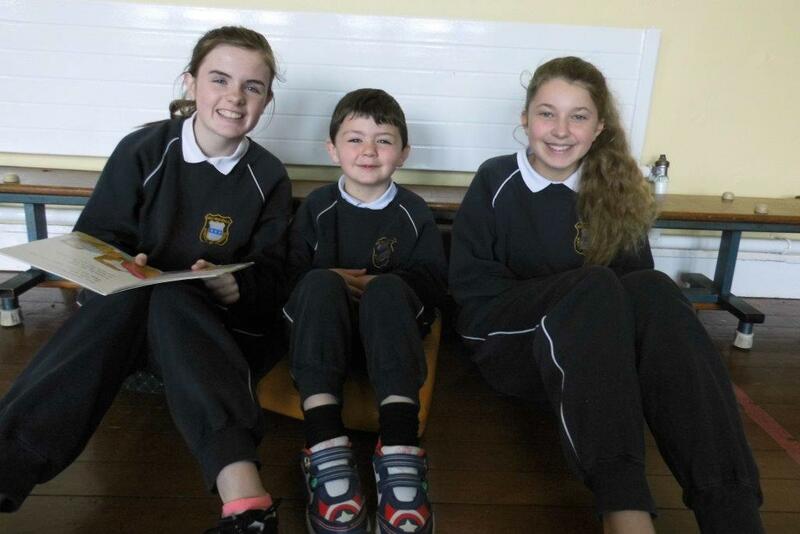 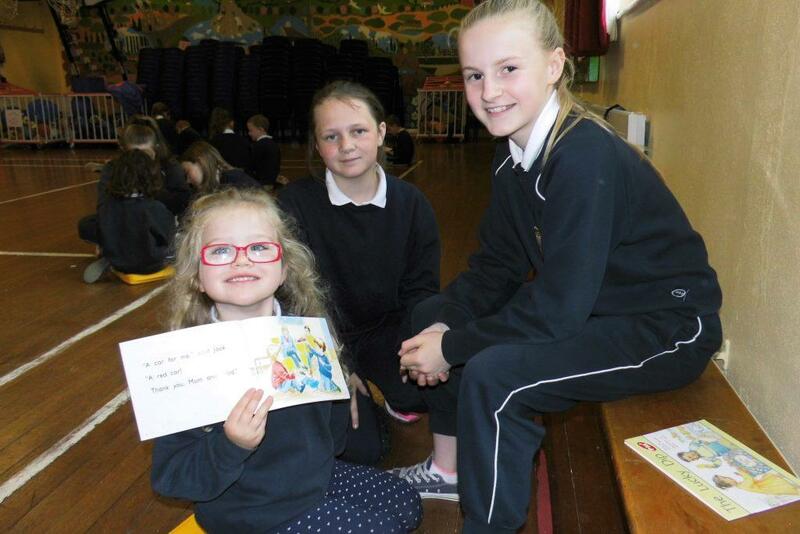 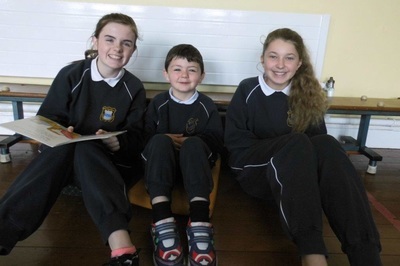 They were paired up with a reading buddy from each of the Infants classes. The books were graded specifically for each individual child. The reading sessions took place in the Halla where the Infants read 2 books to their buddy, who in turn read a story to the infant. We used the wonderful PM books which are familiar to the children from Literacy Lift-Off. 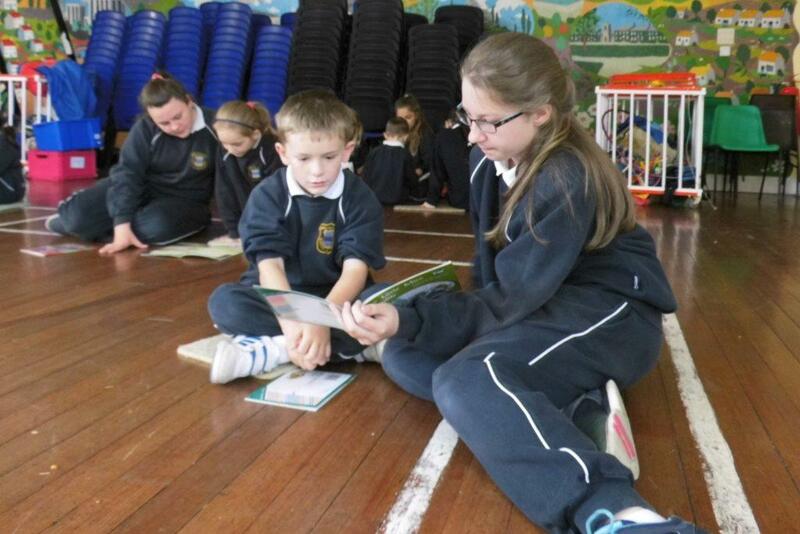 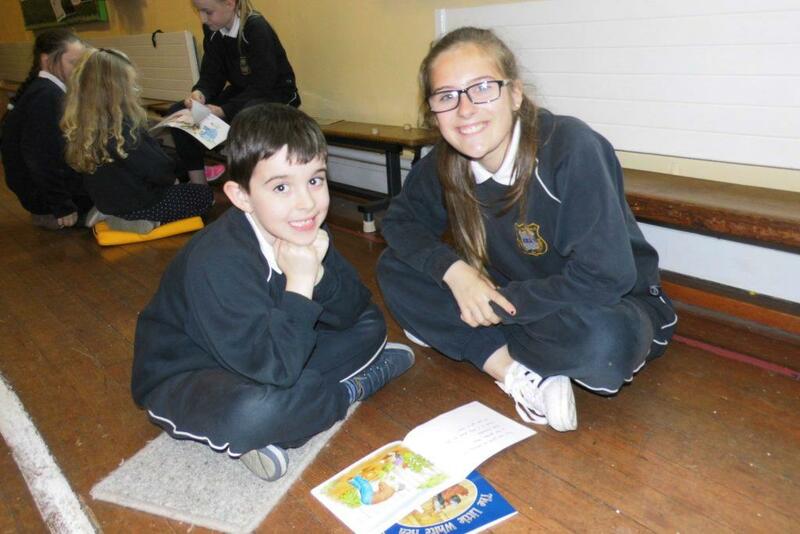 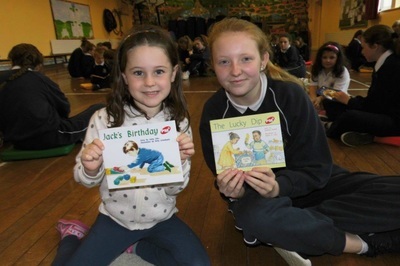 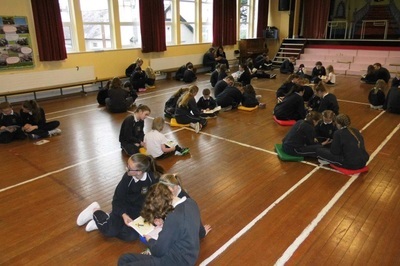 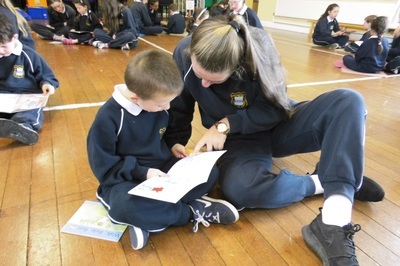 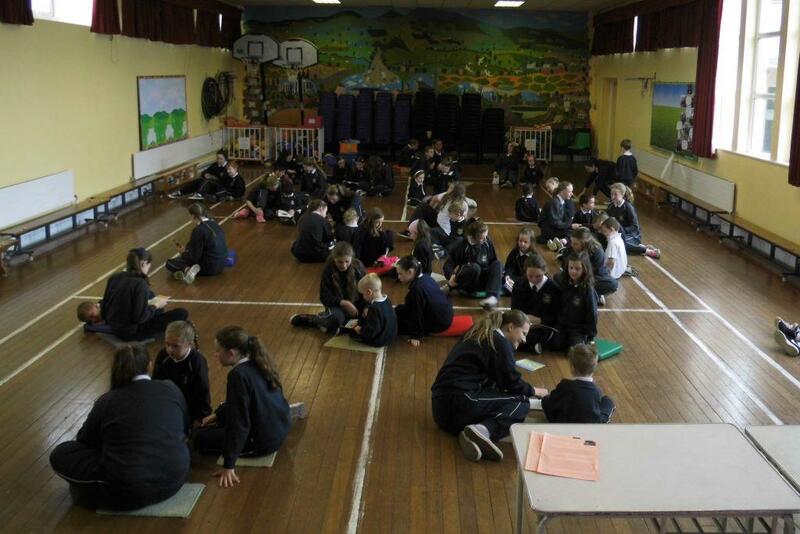 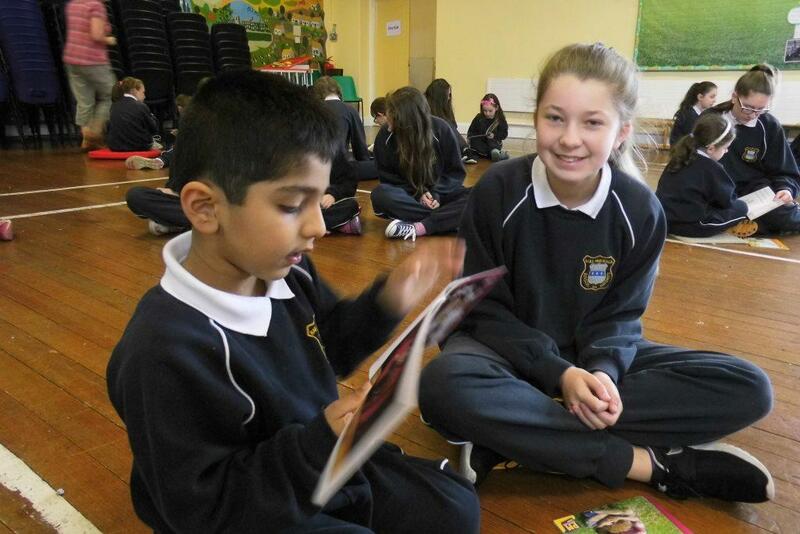 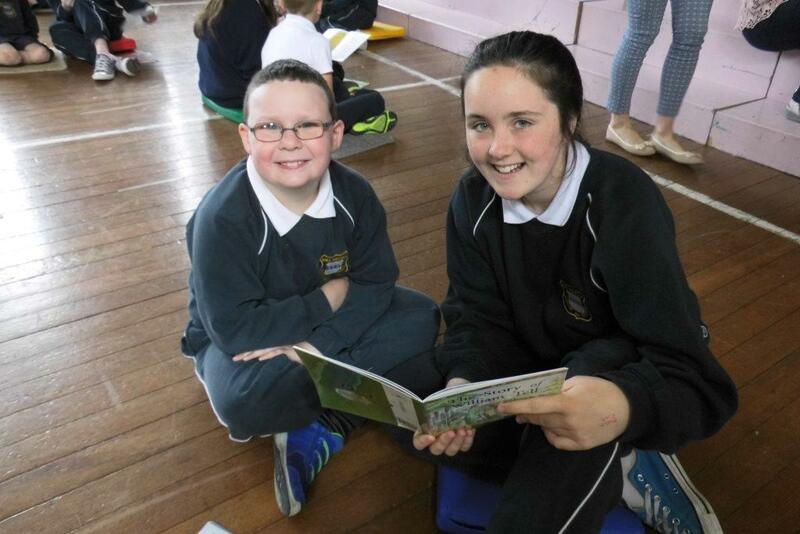 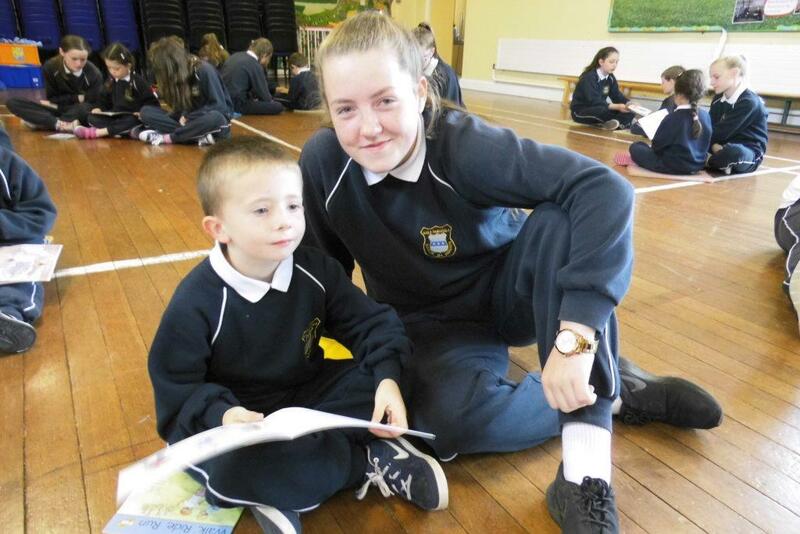 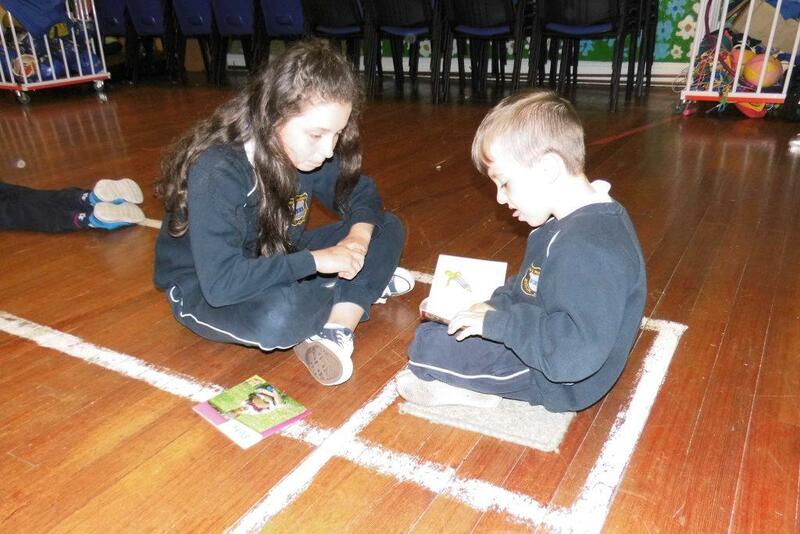 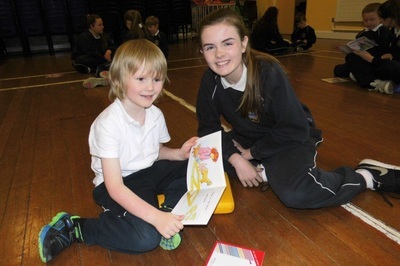 Thanks to Ms Kearney for organising this great opportunity to enhance the children's reading. 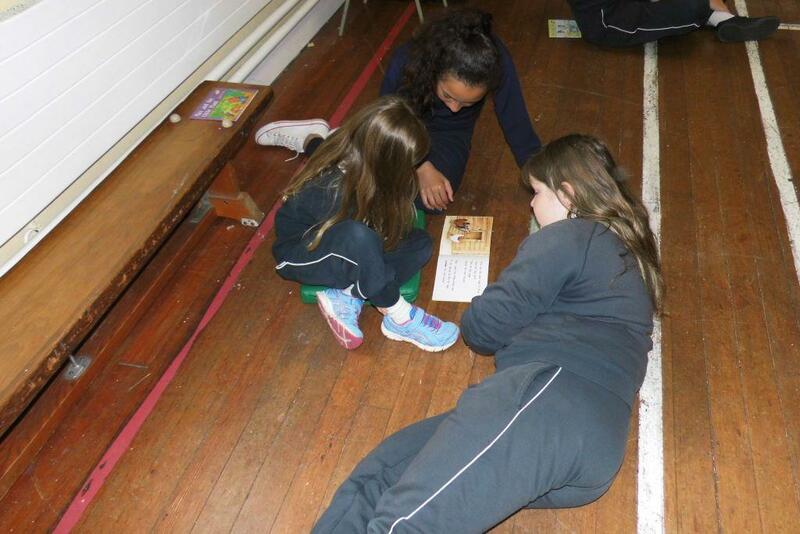 The 6th class girls and the infants really enjoyed this experience.